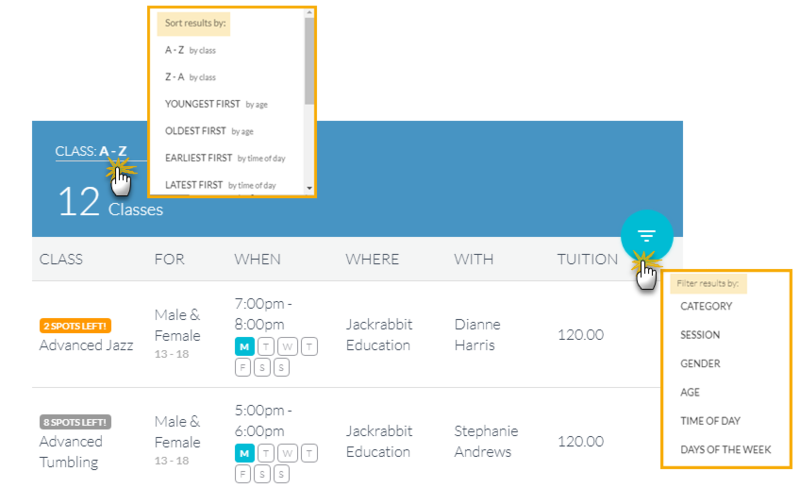 When the parent selects a class from the list shown, they are taken to the Class Details page where information about the class is displayed. 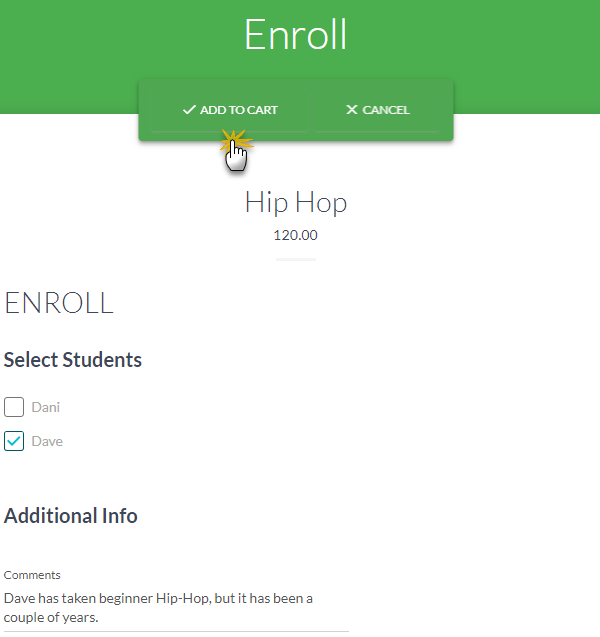 If they wish to enroll a student(s) into the class they will click the Add to Cart button. 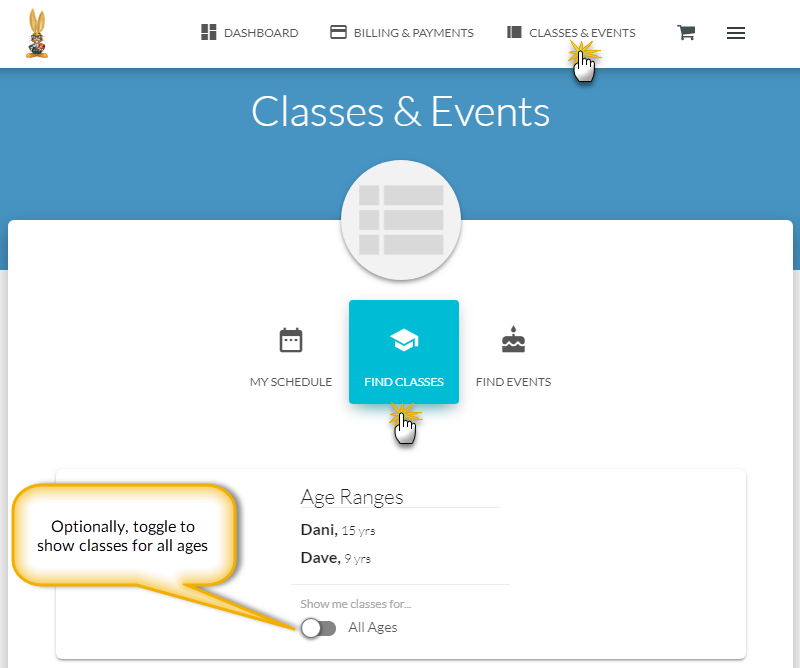 To select the class the parent will click Add to Cart. 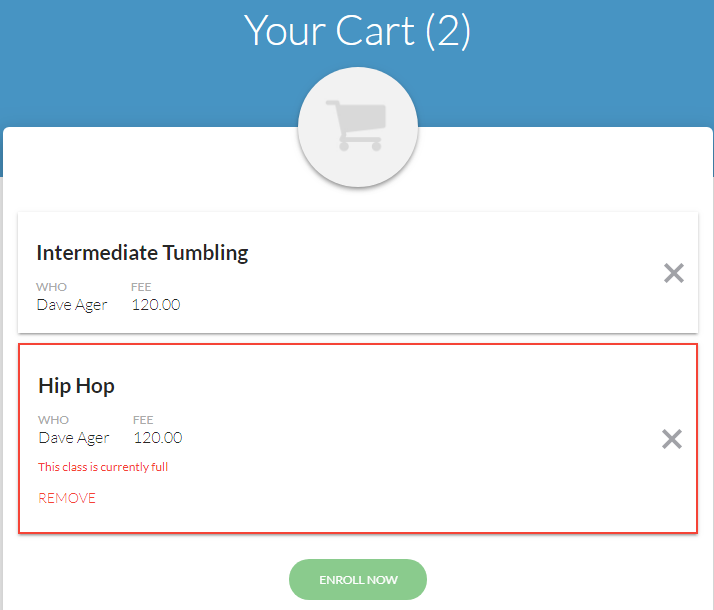 A confirmation that the class has been added to their cart will display in a pop up. 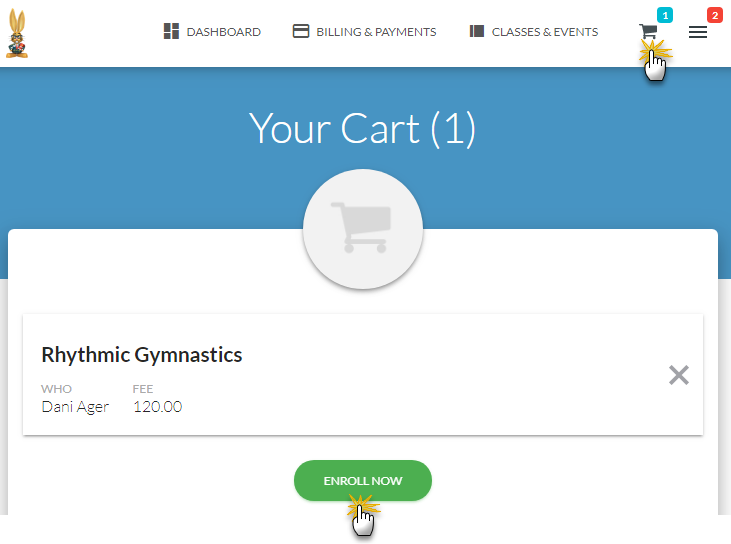 Adding a class to the cart does NOT COMPLETE the class enrollment. At this point the class is only added to the cart and the parent is taken back to the listing where they can continue to select classes and add them to their cart. 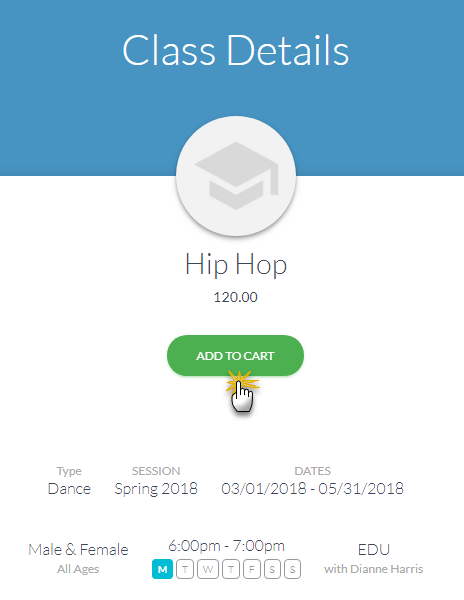 When all desired classes have been added to the cart, the parent must click on the cart icon in the top menu and click the Enroll Now button to complete the enrollments. A confirmation email is sent to the parent and also to your organization. This email is sent to the "Reply to" and "Send Alert to" Email Address designated in the Portal settings (Tools > Parent Portal > Settings).